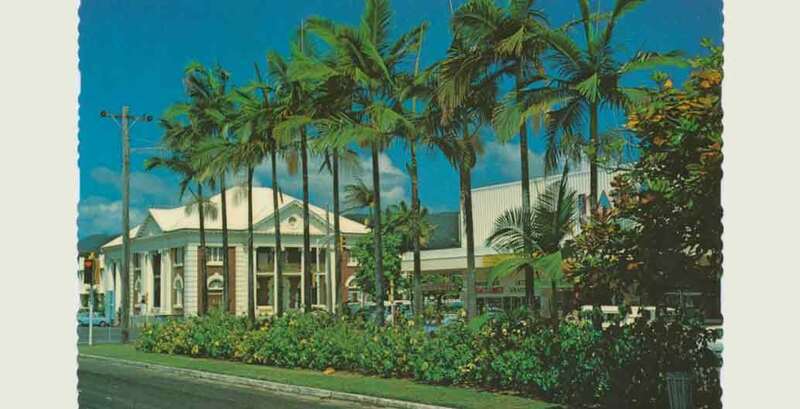 Like many cities in the tropics, Australia’s Cairns is booming. How it manages that growth will determine whether it becomes an exemplar of urban sustainability in turbulent times, or a cautionary tale. 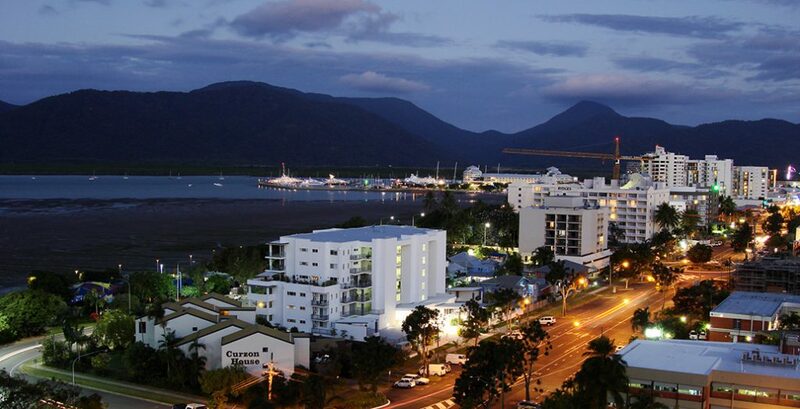 In recent years Cairns has transitioned from a modest trading port to a glamorous tropical tourism destination. Today, the continuing rapid expansion of development across the city makes it regional Australia’s fastest-growing property market. Its two universities are expanding, as are its convention centre and naval hub facilities. Along with a masterplan for a new gallery precinct, these developments will all further increase employment rates that are already growing at more than three times the national average. Tourism, which has long been significant for the city’s economy, has seen unprecedented recent growth. Cairns is on the move. The city had anticipated it needed a robust plan to manage change. 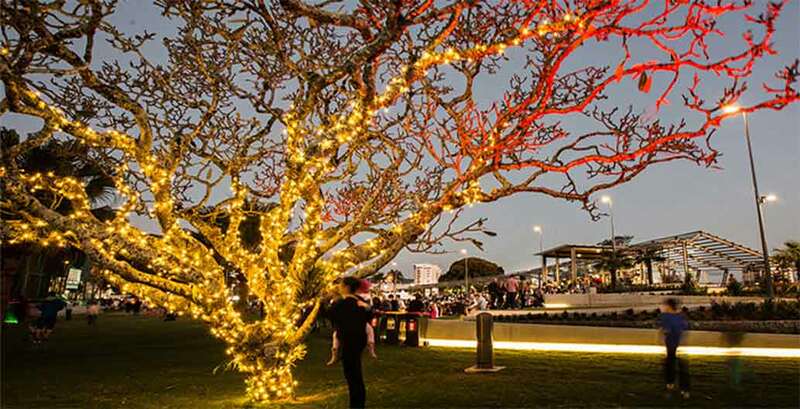 Adopted in December 2017, the CairnsPlan 2016 could have helped the city leverage funding and energy for a new vision of a locally distinctive tropical urbanism. However, while the plan promotes “a city in a rainforest,” this vision is arguably less significant than the ready financial investment of private developers. 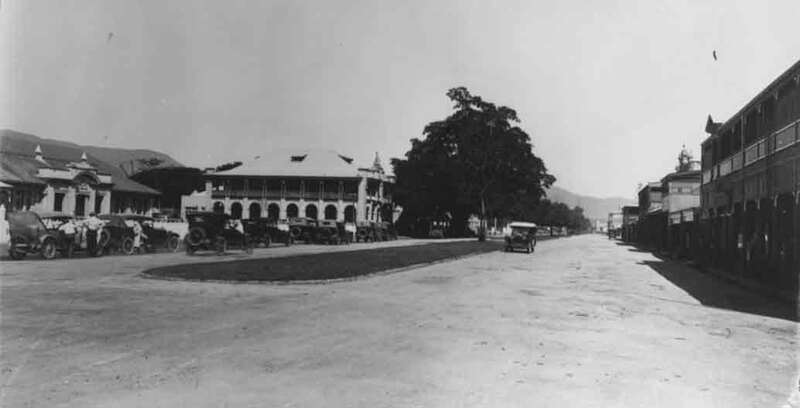 Indeed, the urban transformation occurring in Cairns today shares a pattern of coincidental circumstances that enabled the celebrated transformation of Melbourne’s urbanity, through development of its laneways. 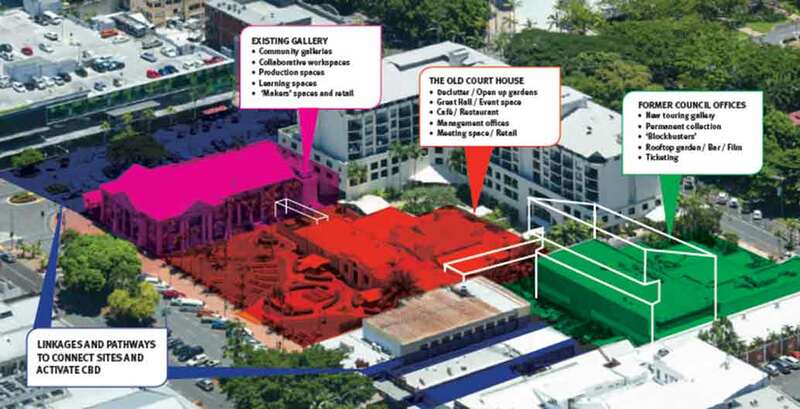 How can the economic development of Cairns be guided, to serve a wider positive growth in the region? 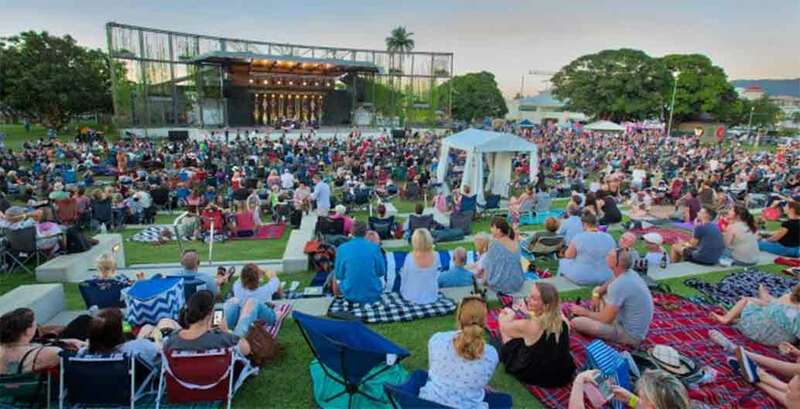 As the CairnsPlan 2016 claims, “it is a balanced plan that encourages growth while maintaining the qualities and characteristics that make the Cairns region special”. But what are the dangers? How can the economic development of Cairns be guided, to serve a wider positive growth in the region? What are the industries and services, skills and knowledge that are needed to deliver this? Lisa Law of the Tropical Urban Design Lab (TUDLab) in James Cook University sees these questions as shared by many colonial settlements, which are grappling with shared post-colonial responsibilities for their modified and remnant indigenous landscapes, unique demographic histories and contemporary cultures. Aboriginal peoples have occupied the land on which Cairns is built for many millennia. James Cook landed in 1770 and various colonial explorers have visited and mapped it since. The discovery of gold in 1872 led to the largest non-indigenous settlement in Far North Queensland. In some sense Cairns has more in common with Papua New Guinea, which is just a 40 minute flight away, than the rest of Australia. Another thing Law draws attention to is the city’s distinct demographic. “Cairns has a larger-than-average indigenous and Torres Strait Islander population, and long-standing connections to places like Papua New Guinea and other parts of Melanesia, as well as Southeast Asia, China and Japan.” In some sense Cairns has more in common with Papua New Guinea, which is just a 40-minute flight away, than the rest of Australia. 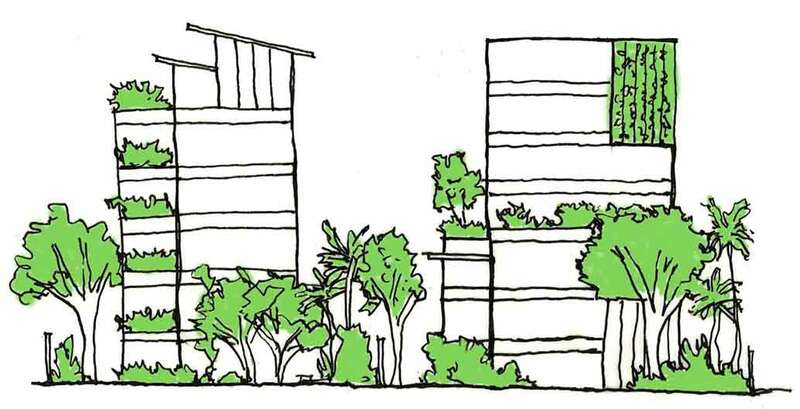 Beyond backyards, the source of plant material has huge implications for the success and variety of public realm planting. Over a decade ago, the many advantages of cultivating little-known tropical species, principally in improved approaches to sustainable multi-layered agriculture, were explored in Traditional Trees of Pacific Islands: Their Culture, Environment and Use. The domestication of little-known “traditional trees” offers enormous opportunities. As the book described, “Typically, a high degree of variation is found in traits that can be captured in new cultivars to greatly enhance yield and a range of quality attributes.” Law’s research reveals that considering species local to Queensland rainforests, for use in urban planting, offers similar climate-specific horticultural potentials. The role of tropical botanic gardens is critical for tropical regions, which notably contain most of the planet’s biodiversity. Law acknowledges that there is a rapid change in land-use and forest conversion throughout the tropics. This is a problem because there are still so many species to be discovered and they are likely to become extinct or at least extremely rare before they can be documented. When it comes to deforestation, Queensland leads Australia, clearing land at rates that have only recently been legally curtailed. Maintaining the genetic integrity of site-specific species populations is one task. However, it is recognised that “assisted migration” of species that are vulnerable to climate change, and creative local collaboration with governments, NGOs and indigenous people to make more species available in cultivation, is a valuable parallel task that can change the appearance and experience of cities. The use of specific plant species to reflect past associations and memories, as well as engender new ones, is not something that the CairnsPlan 2016 considers. 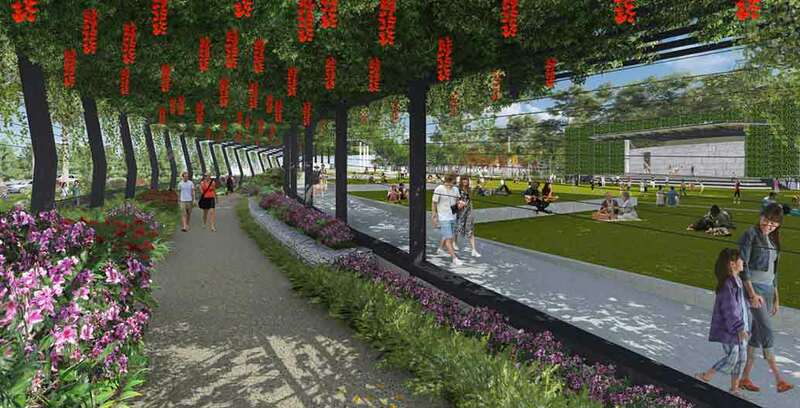 As a high-level planning document, its imaging is simply that of a generic greenery. It will be up to project designers to explore and persuade clients of the value of plant selection considered at many levels, including that of cultural significance. Expanding the range of local species available through nurseries (a horticultural ambition throughout Australia with volunteer-led and industry initiatives) is an ongoing effort. The Council of Heads of Australian Botanic Gardens recently recognised the need for a National Strategy and Action Plan for the Role of Australia’s Botanic Gardens in Adapting to Climate Change. “We should be working with our herbarium at James Cook University, to consider what rainforest plants we can bring down and grow as vines, for example,” explains Law. “What are the drought-resistant, flood-resistant plants that we can grow in the middle of traffic medians?” This is a potential growth area for research and the nursery industry as well as our indigenous rangers, building on local knowledge and making green infrastructure adaptable to Australian tropical wet and dry conditions. 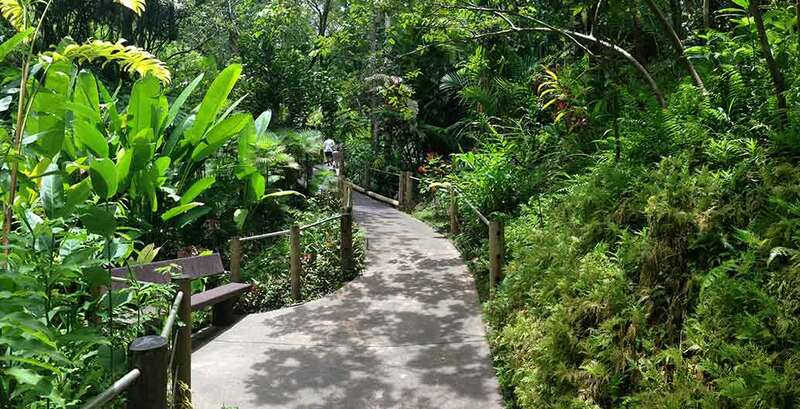 Law acknowledges the very interesting history of Cairns Botanic Garden, but its focus on exotic species and recreation does not help promote what is possible with local species. Rather, she sees the challenge of local species planting being taken up by others. “There is a very interesting company here called Abriculture. The Abriculture team have a shared vision and an understanding of the important role tribal ecologists play in modern ecology, sustainability and global food security.’” They are doing work with People Oriented Design. A recovery centre for brain injuries in indigenous communities uses specific plants for recovery connected to those communities. 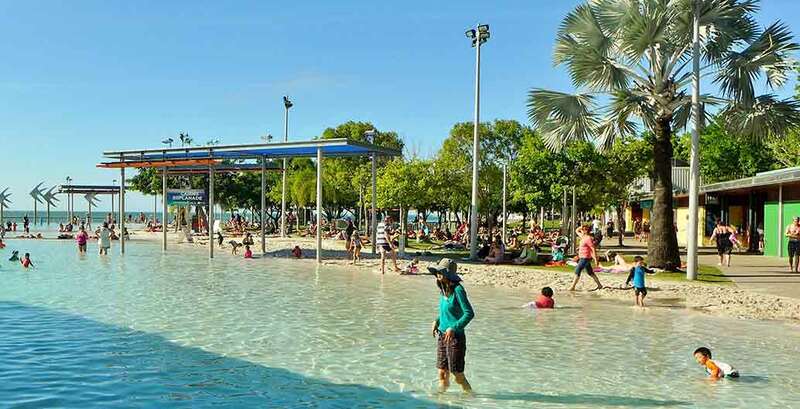 As the first public park in Cairns, it is a significant site for many. For a long time, it was a space for the city’s growing homeless population. Now they are displaced and locked out of the Parklands at night. It is worth noting that Cairns has the highest rate of homelessness per capita in the nation. Rosie’s food van used to serve the homeless at Munro Martin Parklands, but was relocated and faces new calls to move it from the city centre entirely. Certainly not all homeless or rough-sleepers are indigenous. The large indigenous population is located throughout Cairns. “We do have an indigenous population, but I wouldn’t say that the public realm has spoken to them much at all,” says Law. She does, however, point to the recent completion of Shields Street, which now has indigenous art through it as part of “beautification works”. This is an achievement in a context where even acknowledging histories of Aboriginal presence can be seen as conflicting with other histories in urban environments. 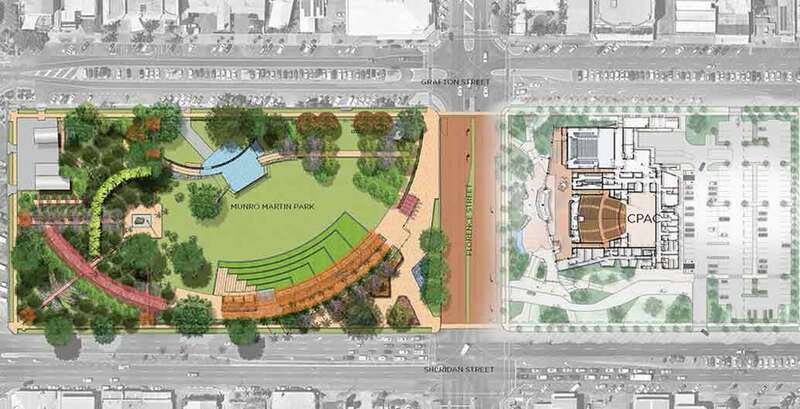 With the development of Reconciliation Action Plans by many organisations, including the Australian Institute of Landscape Architects, greater communication and inclusion is expected to bring mutual benefits from future works. While the jury may still be out with regards to the CairnsPlan 2016, without doubt the contributions of many interested people, across universities, NGOs and other organisations will help inform the strong investment and interest in Cairns and in tropical Australia. 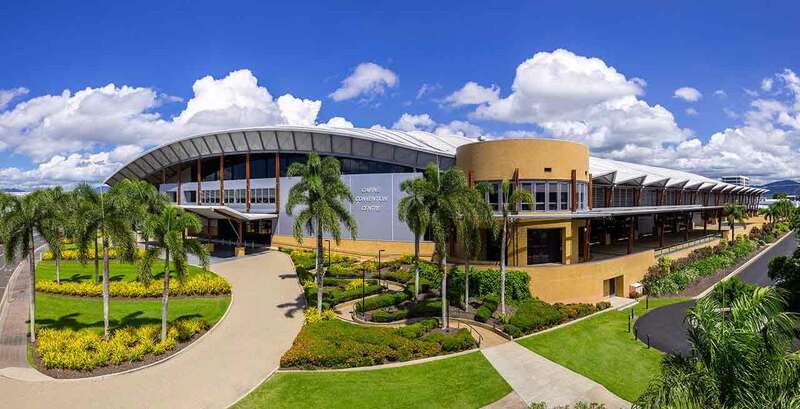 Australian tropical cities like Cairns are in an excellent position to lead carefully informed scientific and design research in this dynamic environmental region. 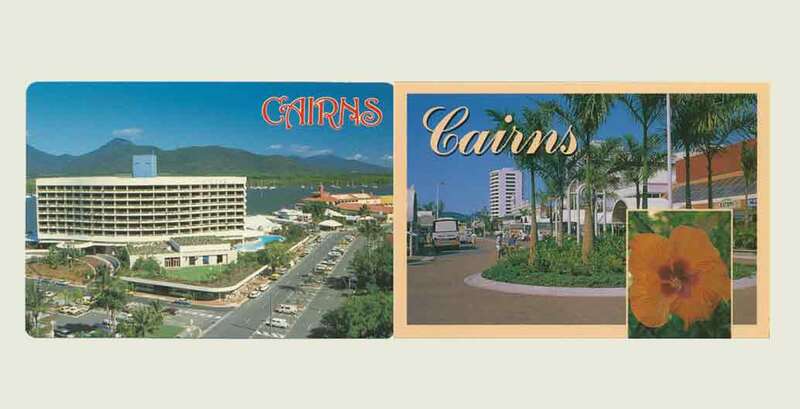 In doing so, Cairns has the potential to be an exemplar for the growth of other tropical cities, at a time when tropical cities across Asia, Africa and South America are growing more rapidly than anywhere else. This is what makes the challenge of sustainable development in tropical cities a matter of urgent global importance. Dr Jo Russell-Clarke is a senior lecturer in the School of Architecture and Built Environment at The University of Adelaide, and is a registered landscape architect of the Australian Institute of Landscape Architects.